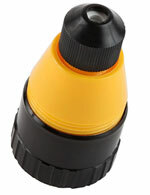 Keep pipettors and disposable tips handy at all times in one convenient stand. 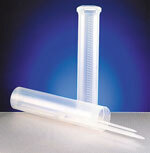 A self-closing lid provides dust free storage for a generous supply of two sizes of pipette tips. 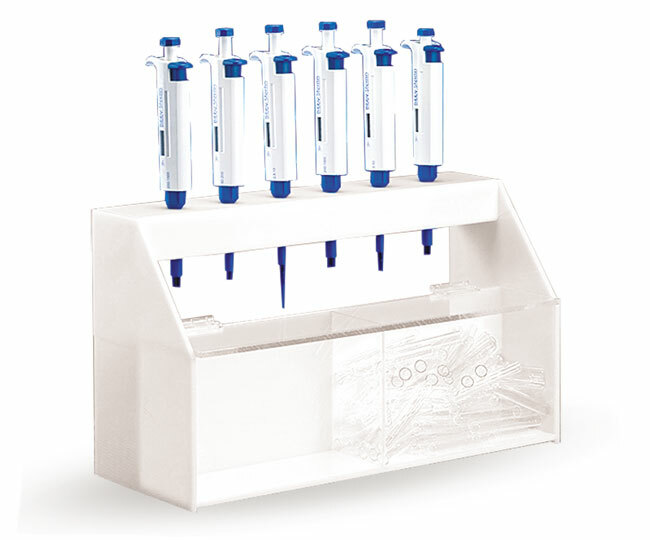 The built-in rack stores up to six pipettors. 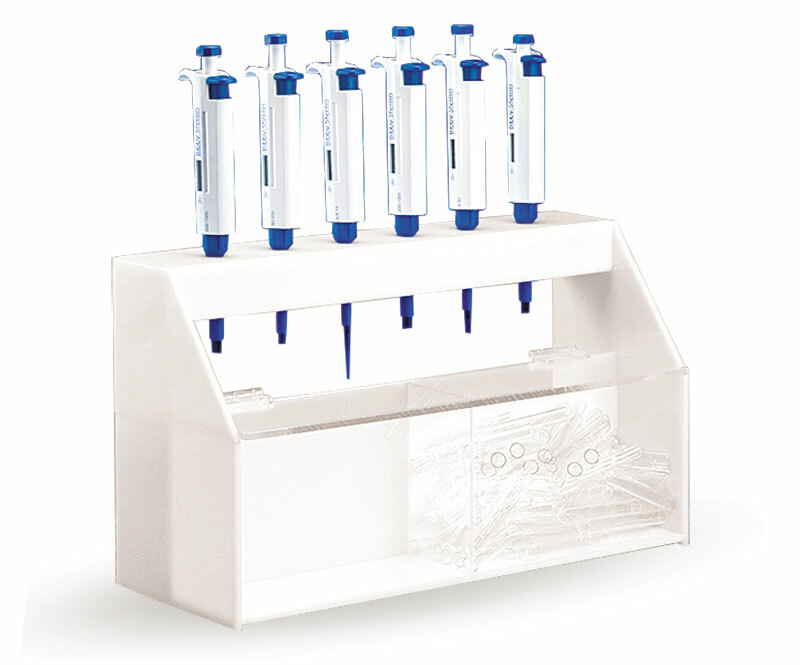 The bottom, sides, and top pipettor rack are white acrylic; the bins have a transparent front and cover for easy identification of their contents.